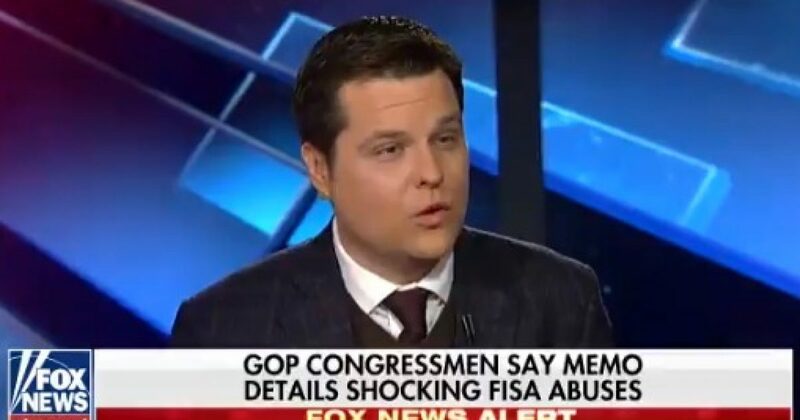 Representative Matt Gaetz, unlike certain Democrats, thinks that you are smart enough to understand the ramifications of the soon to be released FISA Court Memo. The House Intelligence Committee is making moves to release the secret memo to the public in the near future. The contents of the memo are reported to be a devastating indictment of the Obama administration’s FBI and DOJ. In this video is Mr. Gaetz’s look into the memo.